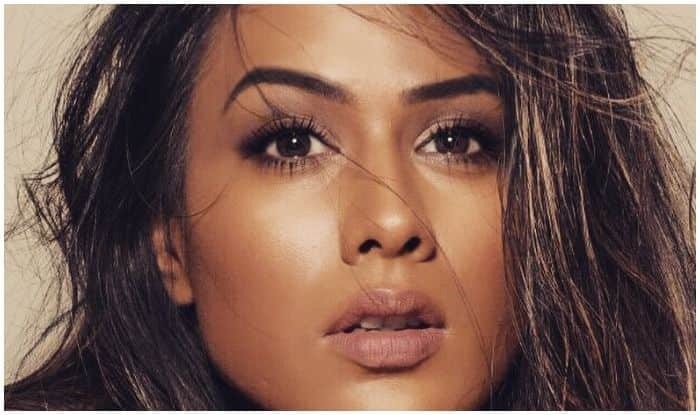 Nia Sharma Redefines Beauty in ‘Brown Skin’ And This Sultry Picture Breaking The Internet is Proof! As the beauty norms continue to be defined by West preferences, many in the industry are making it a point to define their own standards of glamour and one such celebrity is Indian television actress Nia Sharma. Ruling the list as Asia’s second sexiest woman, Nia makes sure to live up to the title and her latest Instagram post is goals for all girl fans out there. Seen flaunting a subtle makeup look, highlighting her brown skin tone, Nia can be seen looking seductively into the camera, sporting a messy hair look. She captioned the flawlessly hot picture as, “#brownskinned @cashmakeupartistry @sabiphotography1” (sic). Earlier, Nia had uploaded a picture donning a white bralette top, paired with white pants and a pink jacket and needless to say, set the Internet ablaze with the sultry post. She had captioned the picture as, “Live young live free Call me later…….Going on a dancing spree! !” (sic). Nia recently won the award for the Most Stylish TV Personality Female on April 29. A few days back, Nia made headlines for lip-locking with Isqbaaz fame actress Reyhna Pandit. In the video, Nia complains about Reyhna coming late and how she has been waiting for her friend since morning. Reyhna’s reaction to Nia’s whining was the highlight of the video. On the work front, Nia is currently busy with the shoot of her upcoming music video ‘Horr Pila’. Currently, she is being featured on Ishq Mein Marjawan opposite Arjun Bijlani.